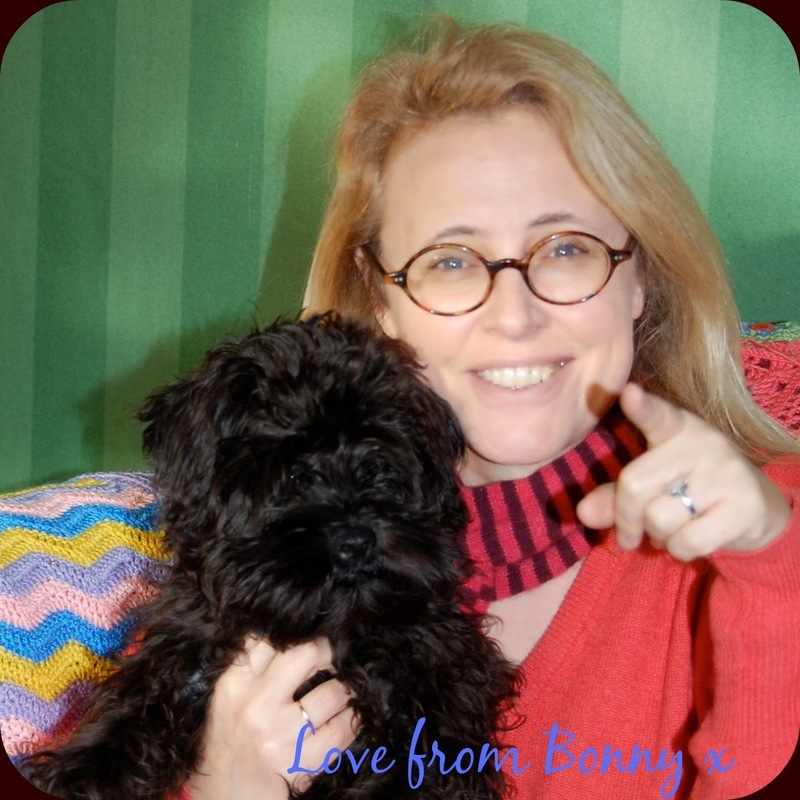 We've just got back from the most amazing weekend away with some very dear friends down in dreamy Dorset. We had a day of just lazing on the beach, chatting, catching up on each other's news and checking out the action in Poole Harbour. And then we went for a big day out on the very lovely Isle of Purbeck. Now the first thing to mention is that it's not actually an island. It's really a peninsula. They just refer to it as an island because it's a bit isolated from everywhere else. 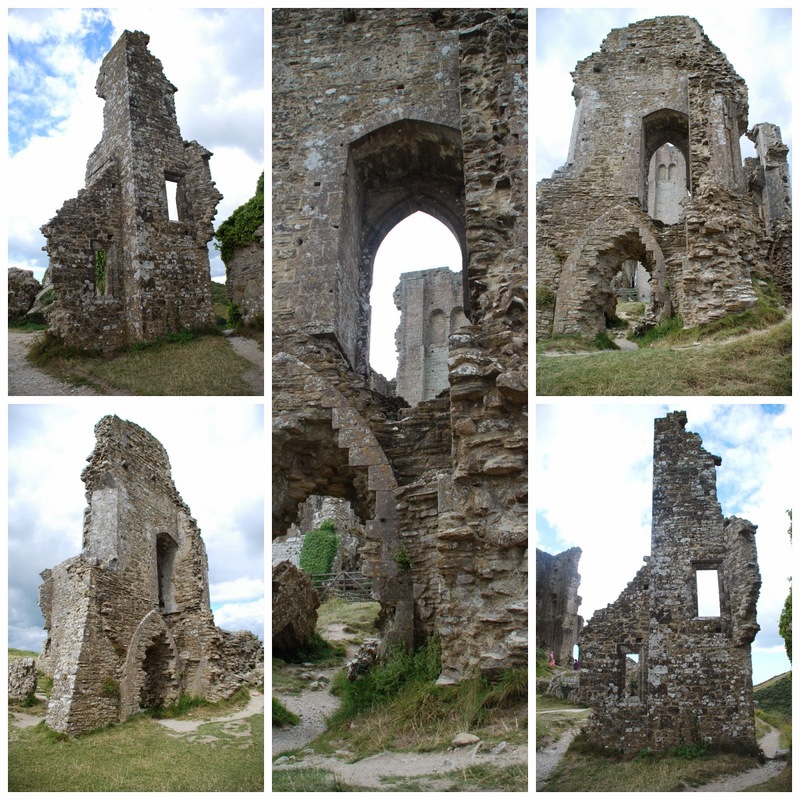 First stop was Corfe Castle. If someone asked me to nominate the ultimate romantic ruin, I'd be hard pressed to think of a better one than this. 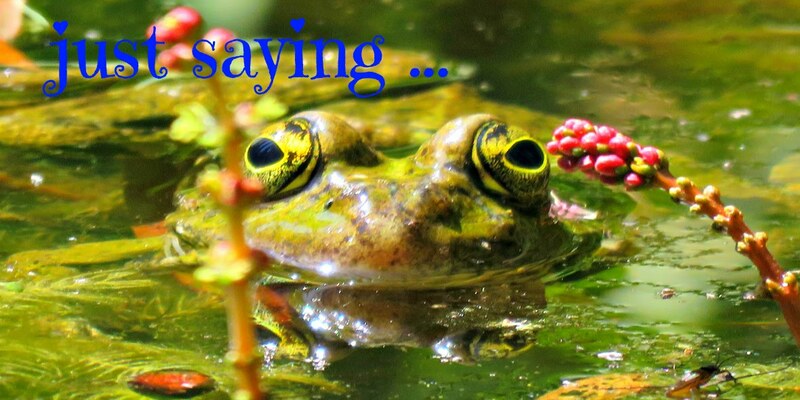 Have a look and see for yourself. I have to say that its history as well as its good looks are behind its nomination, but I'll come to the history in a moment. This is how it looks from the church yard of St. Edward, the Martyr, in the village of Corfe. The National Trust, who run the castle these days, had set up camp - medieval style - at the bottom of the hill, which was a real hit with our little people (two 8 year-olds and one 10 year-old). 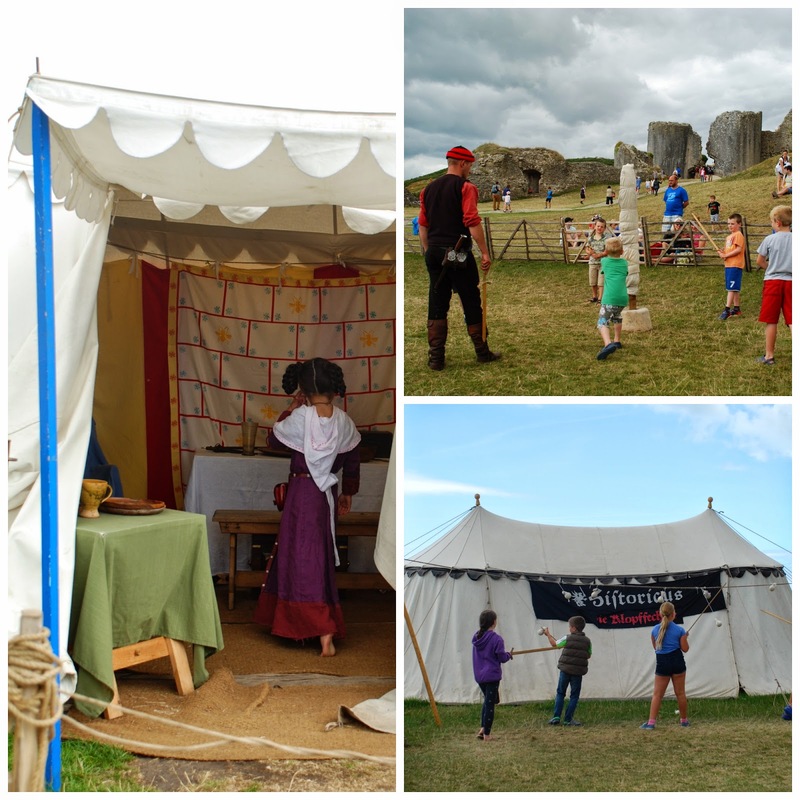 There were martial arts demonstrations, displays of medieval food and lots of knowledgeable and enthusiastic volunteers explaining different aspects of medieval life. And there were plenty of things for the little people to have a go at themselves. Sword fight, anyone? No? Spot of archery, perhaps? Emi and his chums were very enthusiastic about doing the children's castle questionnaire, and incredibly proud of the medals that they got for finishing it. Now for a little bit about the history of the castle. It was built in the 11th century by William the Conqueror, and, like the Tower of London, was exceptional for its day in that it was built of stone whereas most English castles of that period were built from earth and wood. In fact there may have been an earlier castle on the site. Postholes of a Saxon hall have been found, and some folk believe that this was where the Saxon King, Edward, the Martyr, was assassinated by his stepmother on 18th March, 978 so that her son, Æthelred the Unready, could claim the throne in his place. 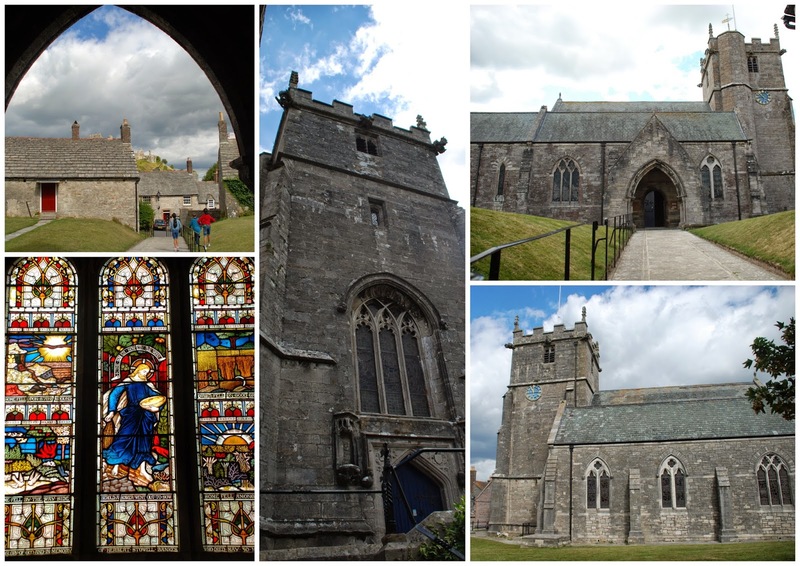 Today the church in Corfe village, at the foot of the hill on which the castle stands, is dedicated to King Edward, the Martyr. Legend has it that the church was built on the site of an old blind lady's cottage to which the king's body was taken after his murder. 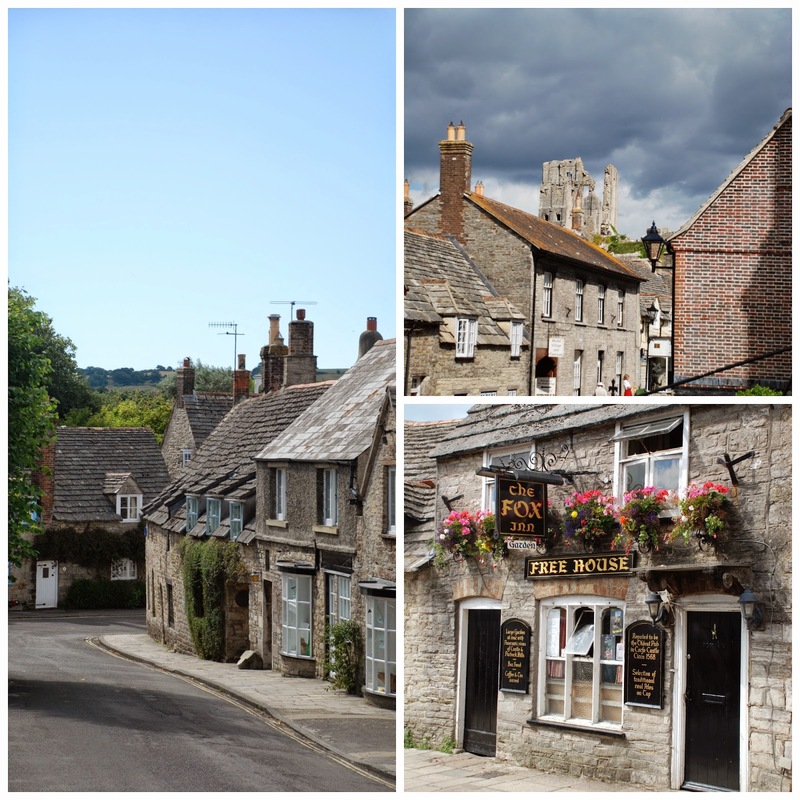 Corfe remained a royal castle until Queen Elizabeth I sold it to her chancellor, Sir Christoper Hatton, from whose London estate Hatton Garden in London takes its name. In 1635 it was sold again, this time to Sir John Bankes, the Lord Chief Justice of the Common Pleas and Attorney General. Now I've said that the castle is the ultimate romantic ruin, and it's a ruin that comes with a damsel (of sorts) in distress. Seven years after the Bankes family had moved in and got themselves settled in their nice new castle the English Civil War broke out. 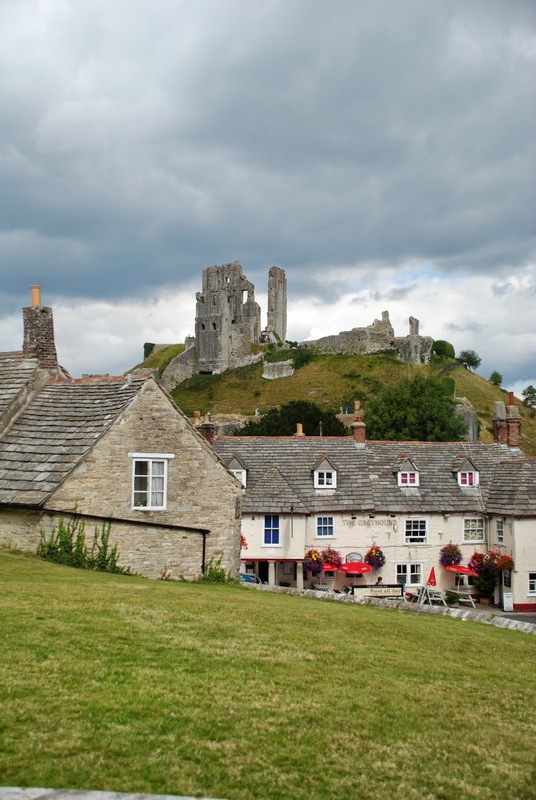 They were staunch supporters of the beleaguered King Charles I, and, as Corfe was a powerful citadel, a force of between 200 and 300 Parliamentarians laid siege to it in May 1643. Now as luck would have it old Sir John was off Cavaliering up in York when the Roundheads showed up, leaving the missus, Lady Mary Bankes, to defend the castle. Lady Mary, who was a force of nature, had by this stage brought 4 sons and 6 daughters into the world. The sons had been sent away for safety what with heirs and spares being more important in those days than mere daughters. 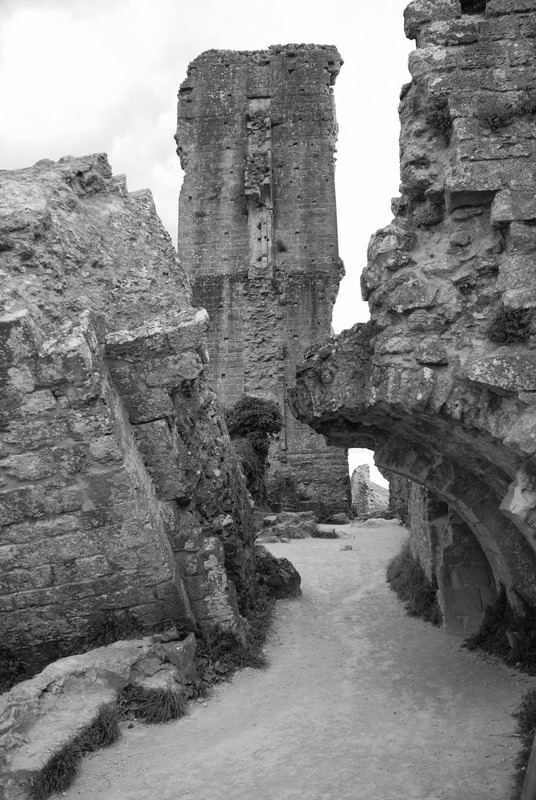 But the formidable Lady Mary remained at Corfe with her little girls and a force of just five men. She saw the Roundheads off and then petitioned for reinforcements. The King sent a troop of 80 men to hold the castle, but the Roundheads returned in June with a force of 500 to 600 men and two siege engines. Mary and her own small party held the Upper Ward, leaving the 80 newcomers to look after the other parts of the fortification. By all accounts she and her five men were very effective, heaving rocks over the battlements and hurling hot embers down on the unfortunate besiegers. By the time the siege ended, a staggering 3 years' later, her group had knocked at least 100 of the Roundheads out of action, either killing them or injuring them so that they couldn't return to the fray. Lady Mary carried on defending her castle until she was betrayed by Colonel Pitman, one of her officers, who let the Roundheads enter through the sally gate. The defenders had been expecting reinforcements so, when the invading Roundheads turned their jackets inside out, they weren't recognised as enemies until it was too late. The army outside launched an assault on the castle walls, and then the enemy within followed their lead so that the Royalists found themselves under attack from two sides. Lady Mary was forced to surrender, but her valiant defence won her the total admiration of her foes who allowed her and her retinue to leave unharmed and, in a powerful symbolic gesture of respect for Lady Mary they allowed her to take the keys of the castle with her when she left. You can see the tower of the church of St. Edward, the Martyr through the castle window. It had been quickly taken over by the Parliamentarians in the early stages of the siege, and used by their gunners as a stronghold from which to bombard the castle. They ripped the lead off the roof to make lead shot. By the time the whole shooting match had ended they'd wrought over £50 of damage to the fabric of the building, which was a small fortune way back then. After Lady Mary had gone the Parliamentarians heaved a huge sigh of relief, and then, in March 1646, the English Parliament voted to destroy the castle. Given that it was such a solid structure it was impossible to obliterate it completely, but they did their best. Barrels of gunpowder were brought in and they blew the place to bits. It had been one of the few strongholds left in Royalist hands, but it would never again give sanctuary to the cause of King Charles I or his successors. When the monarchy was restored in 1660 the Bankes family were able to recover their lands, but they felt that the damage to Corfe was just too extensive for it to be restored to its former glory, and they moved their family seat to a new house, which they built on land they owned at Kingston Lacy. And if you go there you will see Lady Mary's keys proudly displayed amongst the family treasures. The years passed, the restored monarchy tightened its grip on the country and the castle's ruins deteriorated more and more with every passing winter. 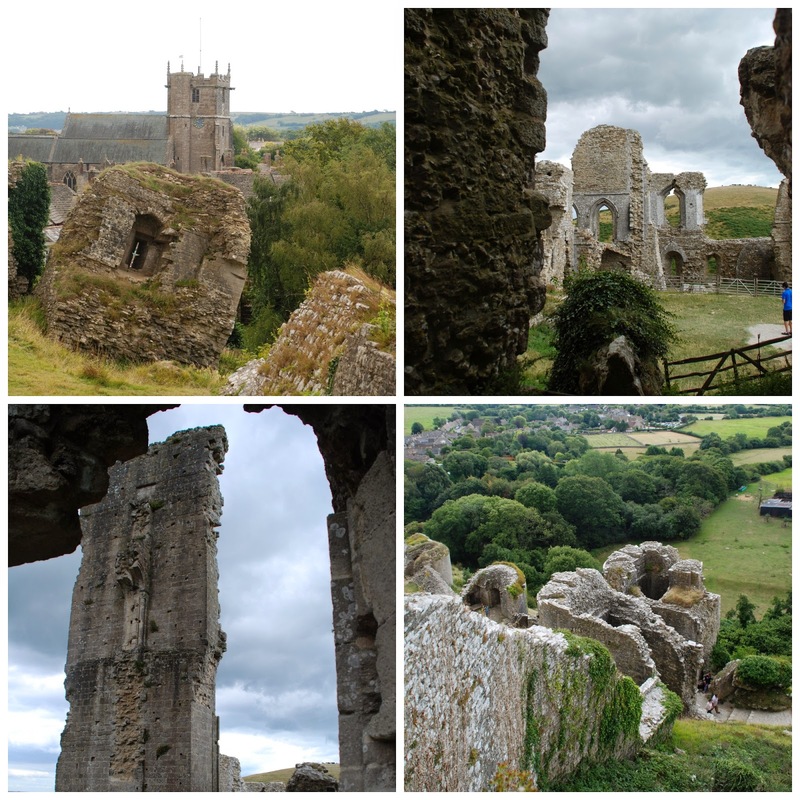 And whilst no one was paying much attention to the old castle walls the locals, down in Corfe village, quietly got on with using them as a quarry, carrying away what they needed to build their homes in the shadow of its broken ramparts. So, in a way, the old stones have survived both the siege and Cromwell's Commonwealth, to be regenerated in a way that I'm sure Lady Mary would approve of if she were around to see them. 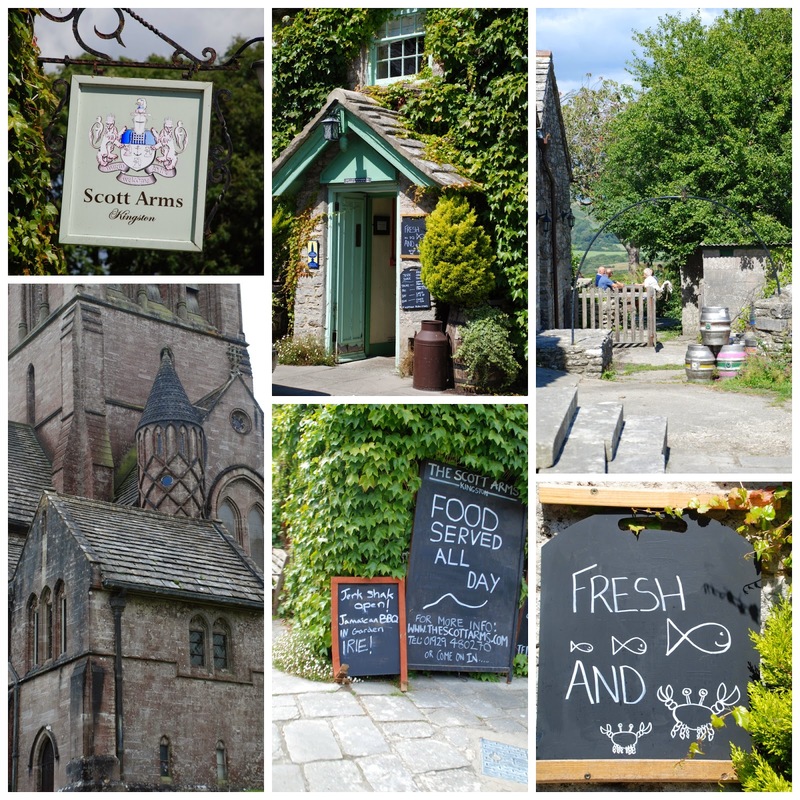 If you drop by the village on your way up to the castle, take a look at the church of King Edward the Martyr and the Town Hall, which backs onto the churchyard and is reputedly the smallest in the country. It houses a museum on its downstairs floor, which must also rank amongst the smallest museums in the country. Or if the Tower of London, another Norman citadel, is more your thing you can read about it here: The Tower of London. I love this post. 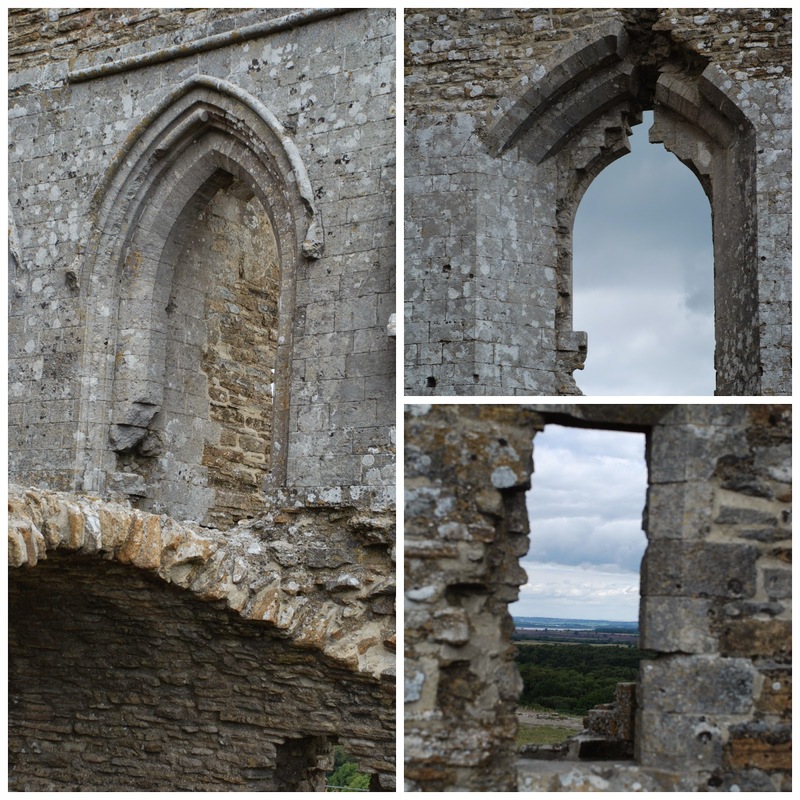 Great photos of an interesting castle and super information. I love England and wish we could visit more often. Great place - I have not been there since I was a teenager! And now its just a little too far for a day trip! I love history such as you shared!! Amazing...and incredible images. Oh wow this would be something to see for sure. 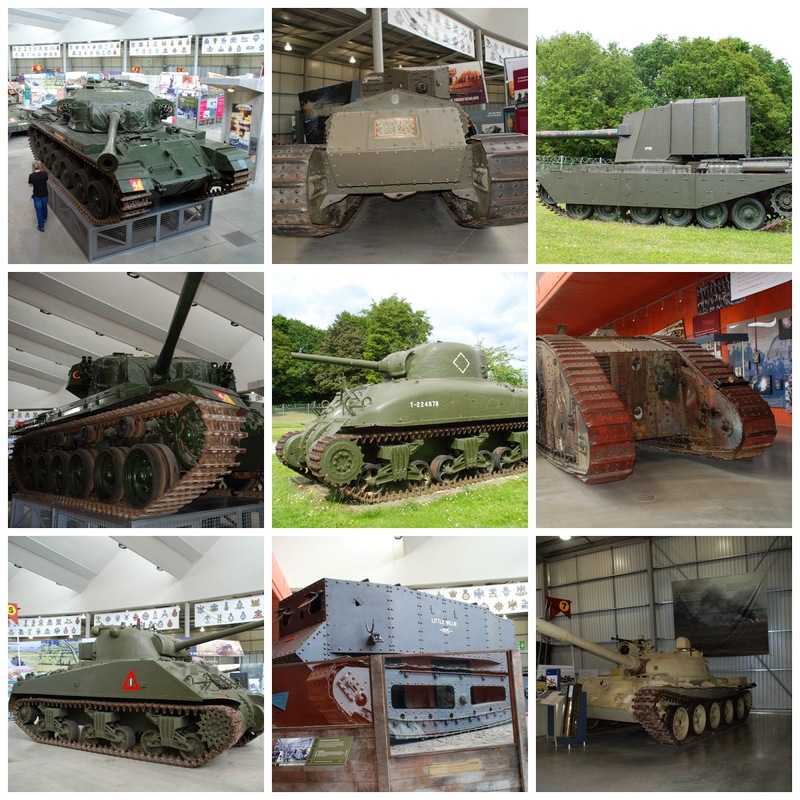 Thanks for sharing the fantastic pictures. you are good at chosing angles for your shots. Love it!